This recipe worked 100% better than my previous pumpkin bread recipe. This pumpkin bread baked up dense, but it baked all the way through. It was not gummy at all. I only had to bake it for 50 minutes, which certainly beats the last pumpkin bread. The flavor of this pumpkin bread is fantastic. It very much reminds me of a pumpkin pie, but not as sweet and, obviously, in bread-like form. This bread did not rise very much, which I attribute to a couple reasons (see Helpful tips). However, I happen to like that. It was moist and still crumbly when I cut into it. It is very filling, and it is perfect for breakfast or dessert. Next time I may even add a light glaze to it since it is already such low calorie. Plus, I love excuses to use glaze. First step in order make this pumpkin bread is to mix together the canned pumpkin, Splenda, applesauce, and liquid egg substitute in a large bowl. I mixed this by hand with a spatula. Next, use a separate bowl to stir together the flour, cinnamon, baking soda, baking powder, salt, and pumpkin pie spice. Add the dry ingredients to the wet, and stir until just mixed. You don’t want to over mix this batter. I recommend stirring until the dry ingredients disappear. Again, for this step I used a spatula. There is no real need to use a hand or stand mixer for this. I hate dirtying up unneeded dishes. 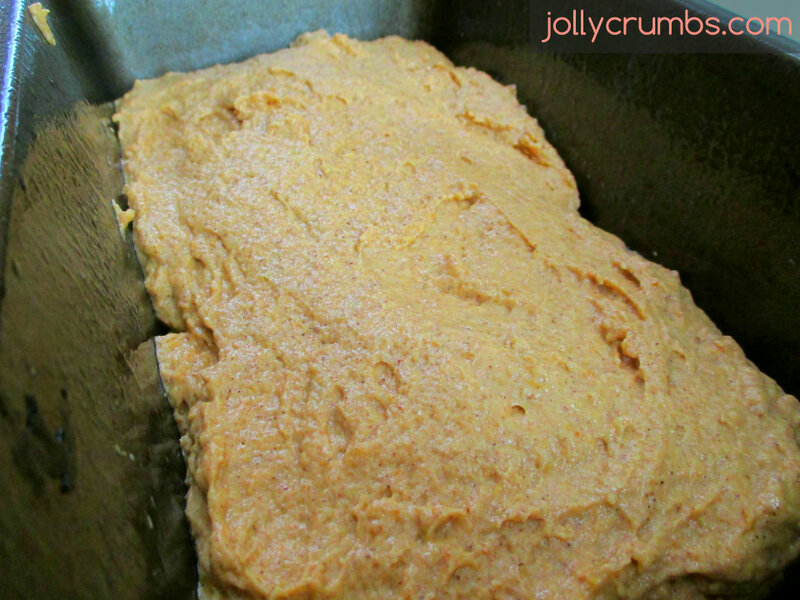 After mixing the batter, spread it into the prepared loaf pans. I used one loaf pan for half the recipe, but if you are making the full recipe make sure you divide the batter evenly between the two pans. Shake the pans on a flat surface to ensure the batter is evenly distributed. My batter was thick and not overly spreadable, so just do your best to get the batter evenly into the pans. Do not be concerned that there doesn’t seem to be a lot of batter in the pan. This is a thick batter that results in dense bread. Bake the pumpkin bread for 50 to 60 minutes. I baked mine for 50 minutes exactly and it was perfect. The bread should spring back slightly when lightly pressed. There was a nice crust on my bread, which had the perfect crunch to break up the softness of the bread. If your pumpkin bread also has a crust, you may have to press a little harder into the bread to see if it is done baking. Place the bread on a cooling rack for 5 minutes. After 5 minutes, turn the bread out on to the cooling rack and continue to let it cool. Cut the pumpkin bread into your desired amount of slices once it is completely cool. I prefer thicker slices for breakfast, so I cut about 8 slices. You could easily cut 10 decent sized slices out of this bread. 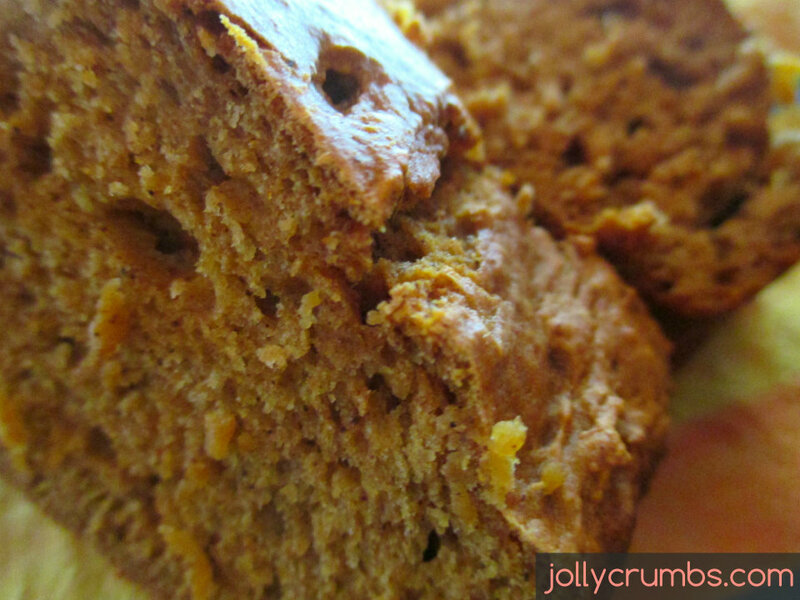 This pumpkin bread is so dang good. I made it first thing in the morning so I could have a piece for breakfast. It was definitely worth baking it early to have it for breakfast. Plus, my kitchen smelled like pumpkin pie all day. Also, warming up a piece of pumpkin bread the next morning with just a little bit of butter or no calorie spray butter is a perfect way to start your day, especially a Monday. I am so happy this pumpkin bread came out better than my previous one. This will be my go to pumpkin bread from now on. Like I previously mentioned, I may add some glaze the next time, just for a touch more sweetness and something a little different. 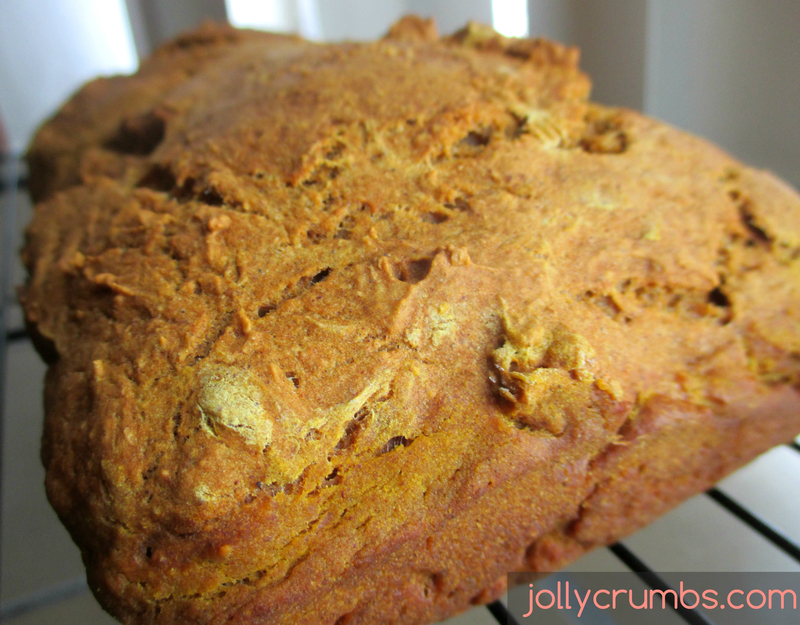 I will most likely make this pumpkin bread again before 2014 ends because I love it so much. I will be munching on this pumpkin bread all week with little possibility of sharing with anyone else in the forecast. Preheat oven to 350°F. Spray two 8×4 loaf pans with nonstick spray. 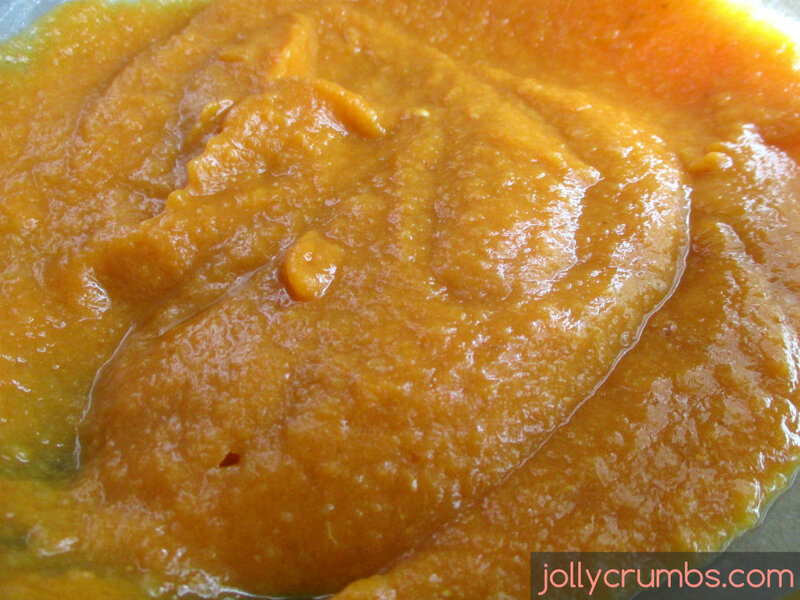 Combine Splenda, pumpkin, applesauce, and liquid egg substitute in a large bowl. In a separate bowl, stir together flour, cinnamon, baking soda, baking powder, salt, and pumpkin pie spice. Add dry ingredients to wet, and stir until just mixed. Do not over mix. Pour batter evenly into each loaf pan. Bake for 50 to 60 minutes, or until bread springs back in center when lightly pressed. Let bread sit for 5 minutes, and then turn out onto cooling rack. Once cool, cut each loaf into desired amount of slices. This is dense, hearty bread. It is not very fluffy or airy, and part of that is to do with the Splenda being used and not actual sugar. If you would like it lighter, I would recommend either using another ½ tsp baking powder with the Splenda or switching out the Splenda for actual sugar and keep the baking powder the same as called for. I halved the recipe for one pan, and it worked wonderfully. This bread did not rise much for me, but it was still very delicious and baked through completely.